This was the sensation of the year in 1901. 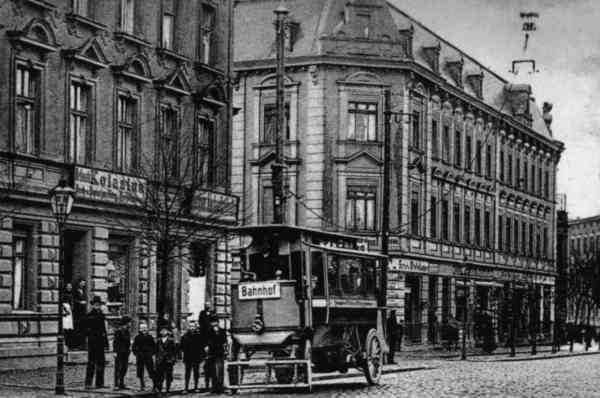 The first trolleybus drove on the Eisenbahnstraße. 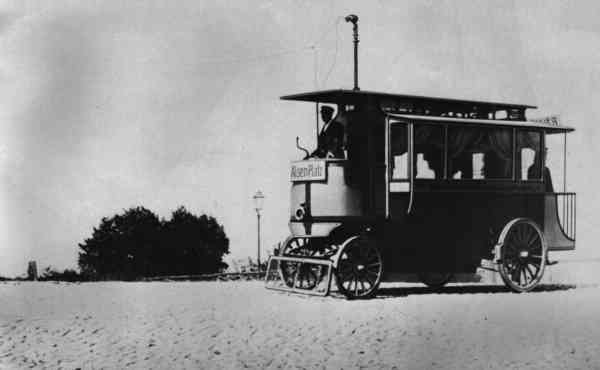 The trolleybus from the year 1901 drove only 3 months in Eberswalde. 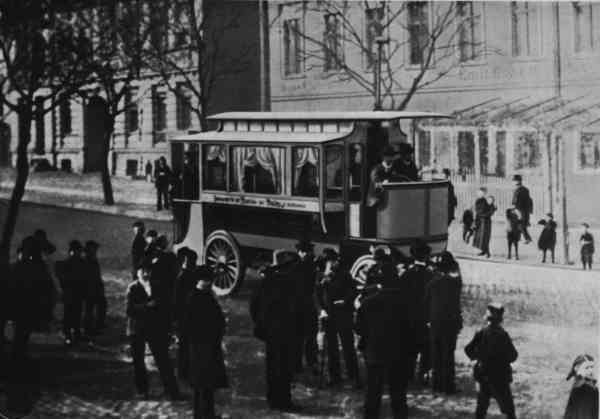 On top right the next foto show the supply line to the electric contact trolley and also the electric contact trolley.